Look at these two jokers. You’d swear it was the same person. 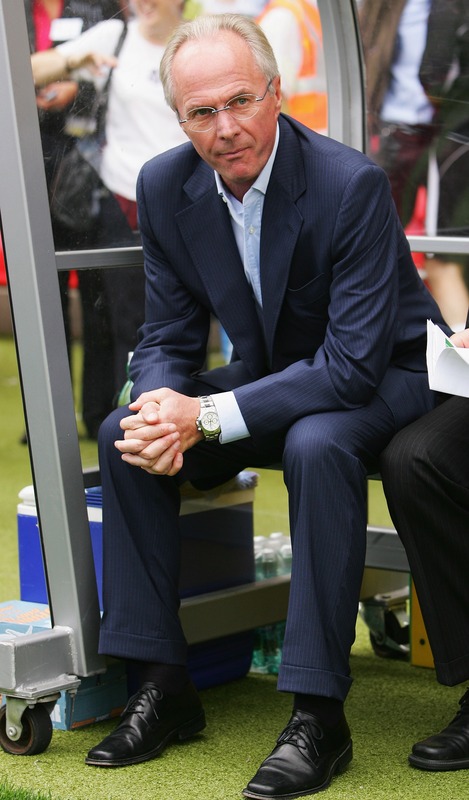 Sven really, really loves sitting in the corner of a dugout, doesn’t he? Like some sort of bespectacled Swedish cat. He fears the technical area, where other coaches (Stuart Pearce for example) embrace it. Come on Sven, we want to see you get off your well-paid, not-so-well-padded arse and move into the technical area this season in the Prem. Man City fans expect it and so does Pies. You can’t stay in the dugout your whole life. Maybe he’s scared of getting wet. Perhaps he’ll sit in the stands to hide from the sort of abuse he got at Doncaster.